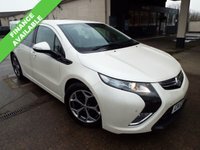 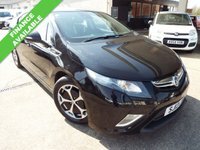 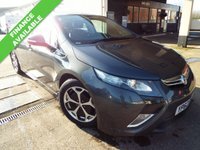 WE ARE VERY HAPPY TO HAVE A BLACK VAUXHALL AMPERA ELECTRON IN BLACK TO OFFER YOU HERE, THESE CARS ARE VERY HARD TO COME BY AND WITH ALL THE NEW REGULATIONS COMING IN THESE CARS ARE MORE POPULAR THAN EVER, BENEFITTING FROM AN UNBELIEVABLE FUEL ECONOMY, £0 ROAD TAX PER YEAR, THIS CAR CAN BE RUN ON SOLELY ELECTRIC OR FUEL AND ELECTRIC! 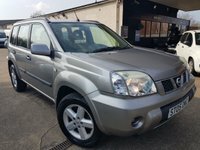 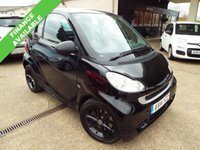 KEY FEATURES INCLUDE HDD STORAGE DEVICE, REVERSING CAMERA, SAT NAV, BLUETOOTH, HEATED LEATHER SEATS, TOUCH SCREEN DISPLAY, CRUISE CONTROL AND MUCH MORE MORE! 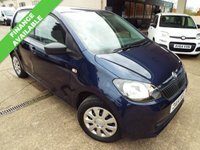 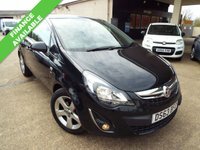 CALL US TODAY BEFORE THIS CAR IS GONE AND PUT £100 DEPOSIT TO SECURE THE CAR OFF SALE!